Take a drive through Juniata County, Pennsylvania and you’ll see sprawling farmland and rolling hills. You’ll pass through twelve townships and seven boroughs, none of which contain a hotel or a hospital. As a rural district encompassing nearly 400 square miles, Juniata County School District serves close to 3,000 students across eleven schools. Approximately 42% of Juniata students qualify for free or reduced price lunch, and until recently, many students in the district didn’t have access to high speed internet and technology at home. In 2016, Juniata invested in 1:1 iPad program as part of a strategic plan to prepare “students to accept challenges, pursue goals, and become life-long learners as productive members of society.” The first year of Juniata’s iPad program was a success; teachers reported high levels of engagement and students finally had access to the type of technology they’d encounter in college and careers. When students took the NWEA MAP assessment at the end of the year, test scores indicated that students were growing on pace with their peers. Pleased with the initial outcomes of their district’s iPad implementation, Juniata administrators looked for a way to take student growth to the next level. 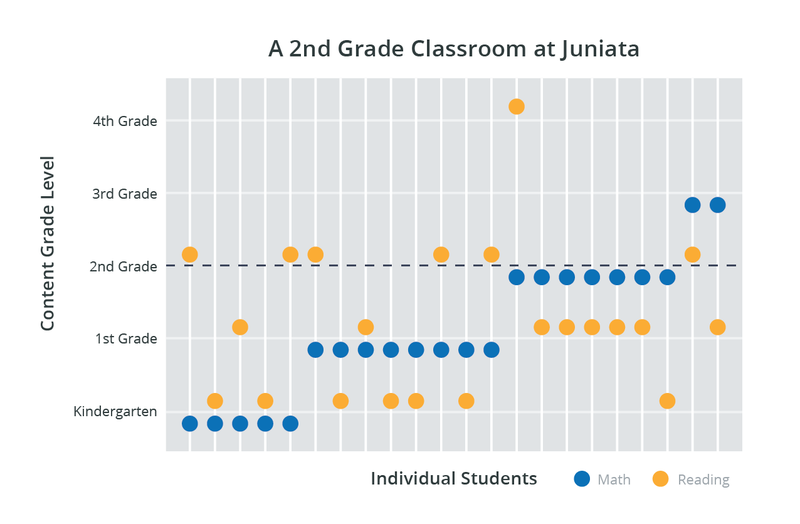 In the typical Juniata second grade class, some students are working at a kindergarten level, while others are ready for fourth grade content. As they prepared for the 2017-2018 school year, district leaders knew that differentiated instruction would strengthen the impact of classroom iPads and drive academic achievement and engagement at a district level. To meet the diversity of learning needs found in their district, Juniata administrators partnered with eSpark Learning to streamline the differentiation process in math and ELA classrooms. In the typical Juniata second grade class, some students are working at a kindergarten level, while others are ready for fourth grade content. Come September, all of Juniata’s kindergarten through fifth grade students were using eSpark to practice math and ELA standards in their greatest areas of need. For 20 minutes each day, students worked through curated videos and educational apps to practice the standards they had struggled with on the NWEA MAP assessment. After gaining proficiency in new skills, students documented and applied what they learned by recording short re-teaching videos to share with their teachers and classmates. As their class worked independently on eSpark’s differentiated learning pathways, teachers finally had the time needed to provide students with targeted support, intervention, and feedback. By the end of the 2017-2018 school year, students had mastered 33,000 math and ELA standards, approximately 27 standards per student. Prior to using eSpark, Juniata saw zero percentile points of growth between fall and spring MAP assessments. 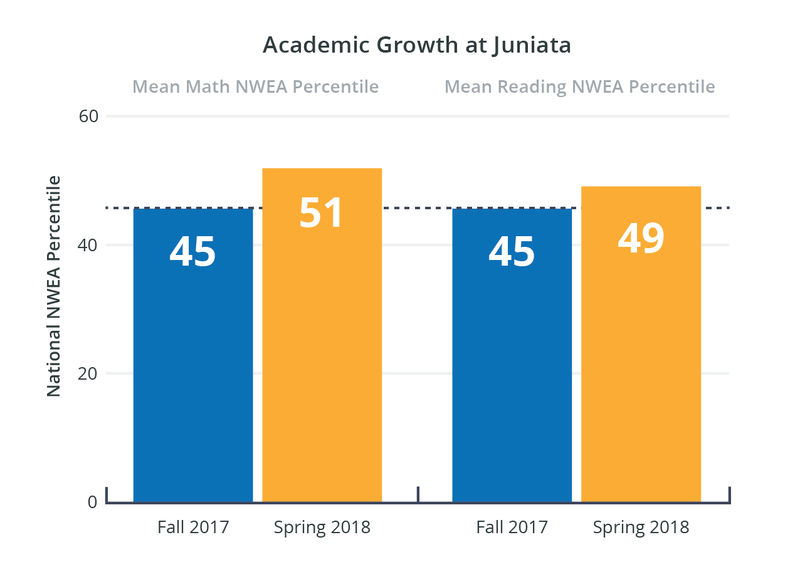 Over the course of the 2017-2018 school year, Juniata students using eSpark jumped from the 45th to 50th percentile, seeing an average of 5 percentile points of growth and outpacing their peers nationwide. During the 2017-2018 school year, students using eSpark gained an average of 5 percentile points on the NWEA MAP and outpaced their peers nationwide. eSpark helped Juniata take an already successful iPad implementation to the next level, and the success of this partnership has extended beyond test scores. “With eSpark, our iPads are more than just devices and instead are on-demand learning paths catered to each individual student's needs,” says Clint Mitchell, Principal of Juniata Elementary. "With eSpark, our iPads are more than just devices and instead are on-demand learning paths catered to each individual student's need." Juniata teachers report that engagement is at an all time high with students asking to continue working on eSpark after the school day was over. Elementary school teacher Kim Guiser has seen this shift in her classroom and says, “eSpark provides my students with positive learning opportunities that are structured, engaging, and motivating.” By streamlining differentiation with eSpark, Juniata County Schools has supported teachers in achieving instructional excellence and laid the groundwork for sustainable district achievement. 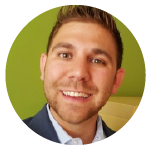 "eSpark provides my students with positive learning opportunities that are structured, engaging, and motivating." There are 27 Pennsylvania school districts using eSpark in K-6 classrooms. Ready to see eSpark in action? Matt can help! PSSA on your mind? We're here to help.